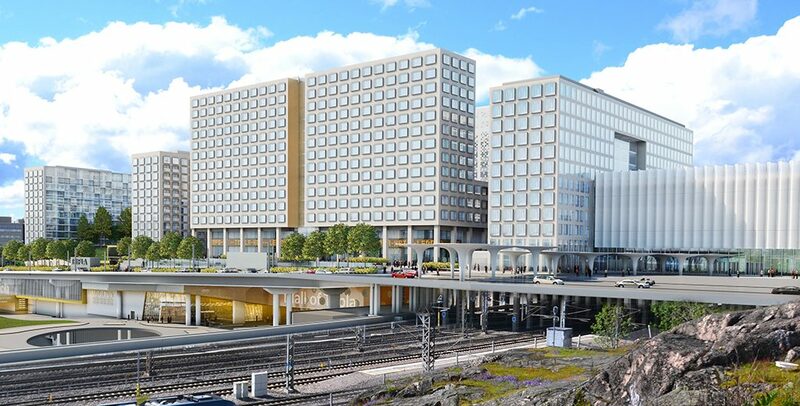 YIT Corporation has signed a letter of intent regarding the construction of a hotel in Central Pasila, Helsinki, as part of the so-called Tripla project. The hotel will be operated by Sokotel Oy and financed by a new limited partnership company managed by Exilion Management Oy and owned by Elo Mutual Pension Insurance Company and Suomen Osuuskauppojen Keskuskunta, part of the SOK Corporation. The parties hope to sign the final agreements in early 2017. The hotel is estimated to be completed at the beginning of the year 2020. The hotel has 430 rooms, which will make it one of the largest hotels in Finland. In the coming years, Pasila’s importance as a transportation hub will continue to grow; both the number of inhabitants and the number of jobs in the area are expected to double by 2040. The development of the area starts with YIT’s Tripla, a construction project that consists of a hotel, shopping centre, parking facility, offices and homes. “We are excited to be involved in developing a new and improved Pasila. We believe that the area has great potential as the second centre of Helsinki. The hotel project contributes to its new identity. Management of a new major hotel property fits our strategy perfectly,” says Ari Talja, CEO of Exilion Management Oy.